What is Tooth Extraction and Why it is required ? Tooth removal is needed when a tooth has been broken or damaged by decay, dentist will usually try to fix decayed or broken tooth with fillings, crown or other treatments. However, if the damage is beyond the repairable limits, then tooth needs to be removed. Removal of tooth is called Tooth Extraction. It is a procedure where the tooth needs to be removed is either broken off at the gum line or had not erupted properly in the mouth. Your dentist will make a small incision into your gum to remove the affected tooth surgically. 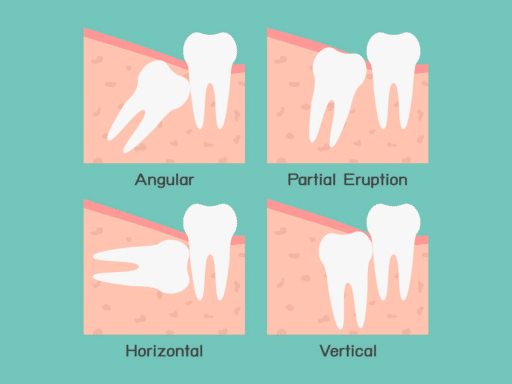 Surgical Extraction is necessary to remove broken or Impacted Teeth or Wisdom Teeth. Some people might have abnormal teeth eruption in the gum line. Due to this mouth lacks the necessary space to fit teeth properly. Thus the newly or wrongly emerging teeth might cause damage to the adjacent or teeth in the gum line. Wisdom Teeth which are impacted also need to be extracted to maintain health of other teeth. Removal of wisdom teeth is a common surgical tooth extraction procedure. At Sowmya Multi Specialty Dental Clinic, we are experts at Tooth Extraction and Wisdom Tooth Removal or Management. We ensure to manage your pain before, during, and after tooth extraction. Keeping your teeth healthy is our goal and we make sure to do the best treatment. Get rid of pain and keep your teeth healthy. We are experts at tooth extraction and wisdom teeth removal.